Ring Wars have been pretty competitive lately, but we weren't about to let one of our favorite Rogues down. Huge turnout for a Sunday night Ring War peaking at 46 Paradigm Shift in attendance! It was yet another flawless team up with our Kitty pals. 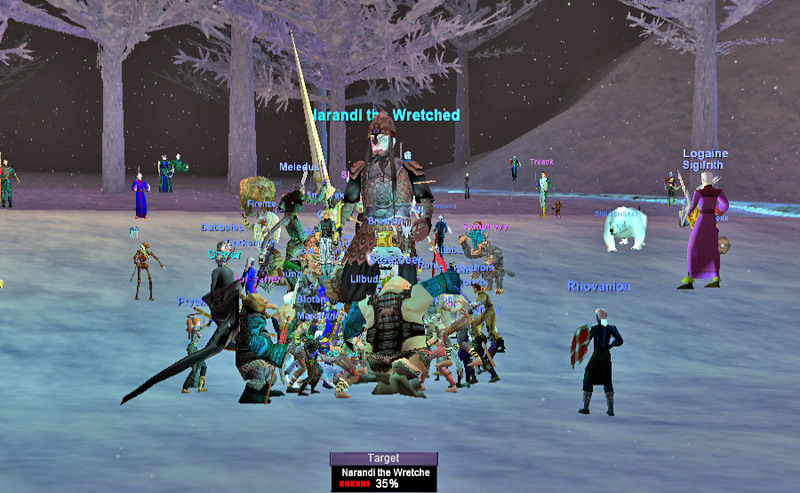 Big congrats to Meathook on Ring of Dain Frostreaver IV! Congrats also to Baylan on Earring of the Frozen Skull, Tinydevil (Fabby) on Crown of Narandi and Molon (Treack) on Narandi's Lance! Our old pal Derakor died a lot this weekend as we've been breaking in the new DKP system. Congrats to Tocar, Gulfstream and Tazlaz on Chestplates of Vindication and Drgonzo on Living Thunder Earring! 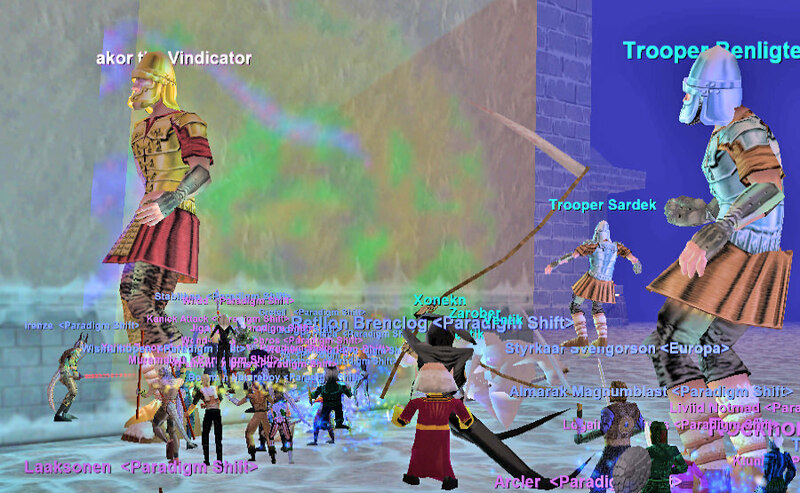 At some point during our weekend giant slaughter Velketor died as well. Congrats Devak on Crystal Crown of Confusion!